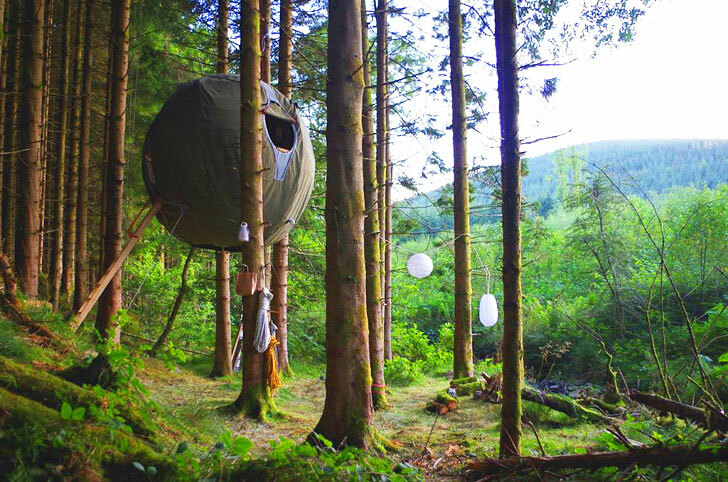 <a href="http://www.luminair.co.uk/">Luminair's Tree Tents</a> are lightweight cocoons crafted from hybrid aluminum and steam-bent green ash for those who want to <a href="https://inhabitat.com/treehouses">camp high up</a> in the forest with little impact on the environment. 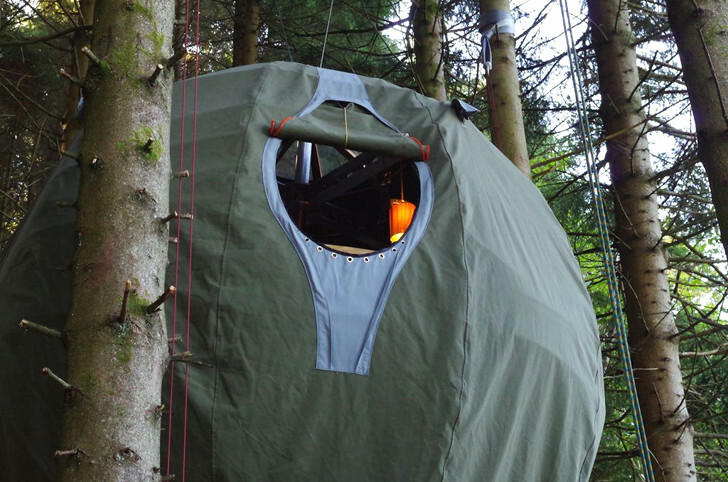 Each tent is three meters in diameter—large enough for two adults to sleep comfortably—and is constructed from <a href="https://inhabitat.com/recycled-materials">recycled and natural materials</a>. 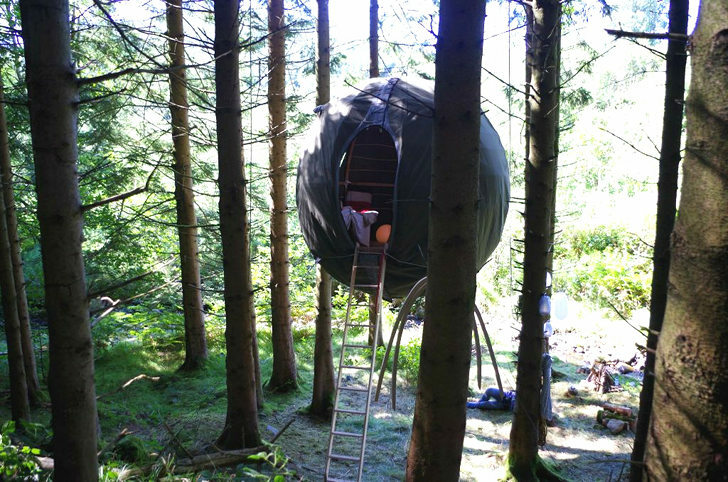 The Tree Tent is the culmination of three years of work and research into <a href="https://inhabitat.com/monohedron-andrej-cverha-futuristic-prefab-canvas-shelter-is-highly-customizable/" title="MONOHEDRON: Andrej Cverha’s Futuristic Prefab Canvas Shelter is Highly Customizable">sustainable shelter</a> systems, fabric structures and timber engineering by Luminair. 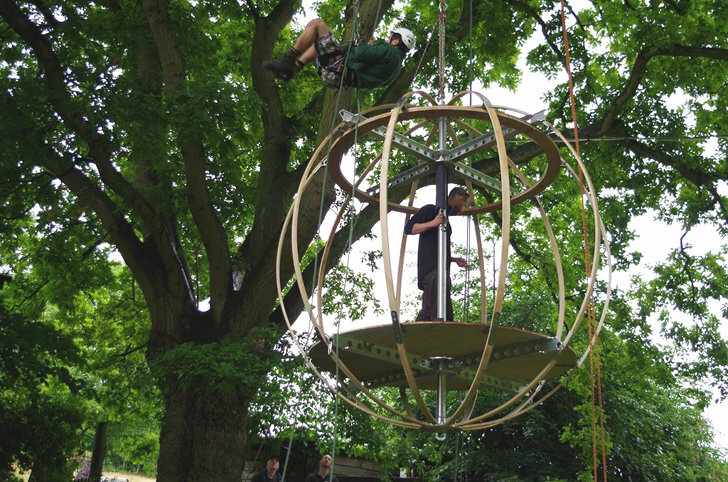 The company sought to create something that is not only easy to transport and that could be installed with minimal impact on the environment, but they were also careful to use only recyclable materials. 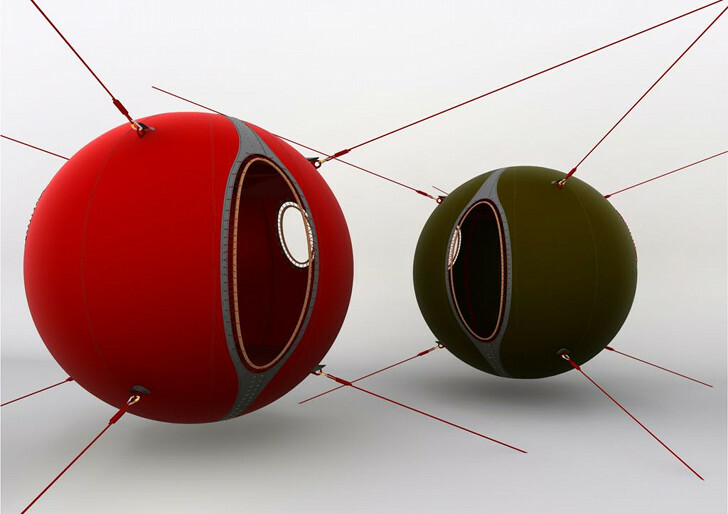 The result is a carefully crafted three meter diameter spherical frame of aluminum and green ash that is encased in a tailored cotton canvas. 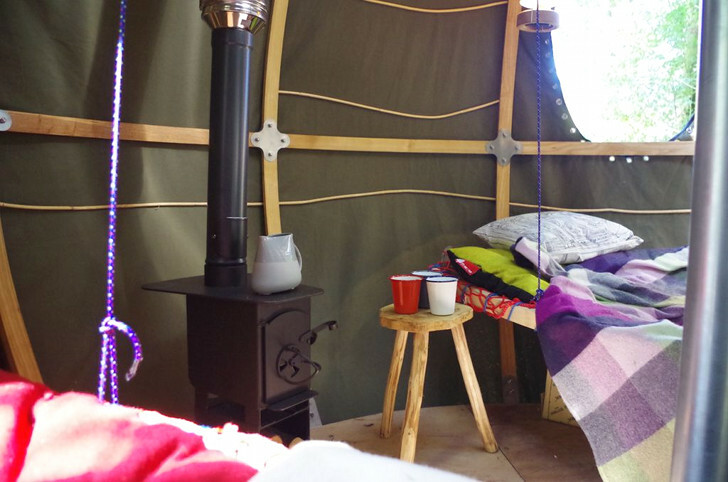 Inside the snug space, which anchors to nearby trees, are 100% wool winter thermal liners for warmth, along with a <a href="https://inhabitat.com/clunky-old-school-bus-is-converted-into-a-sweet-earthy-home-with-a-wood-fired-stove/" title="Clunky Old School Bus Converted into a Sweet Earthy Home With a Wood-fired Stove">wood stove</a>, water storage and options for renewable electricity. 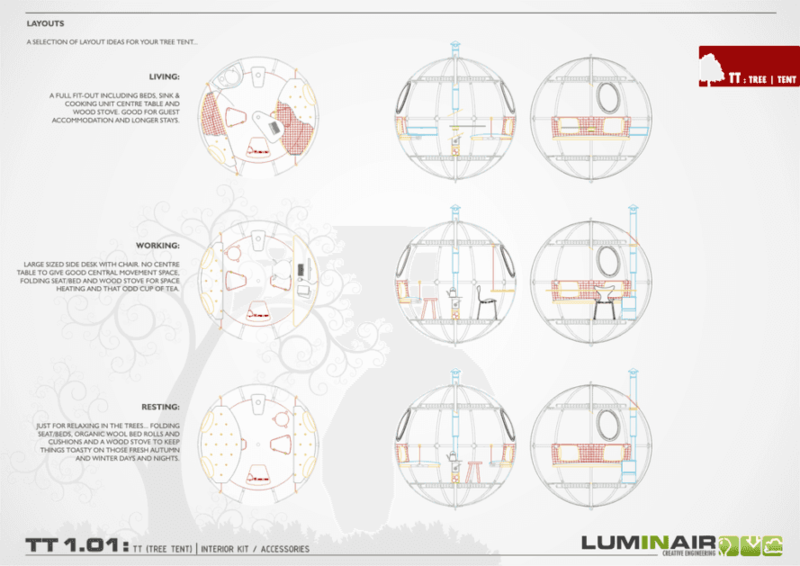 Luminair describes the inspiration for the Tree Tent as one "akin to an airship in many ways." 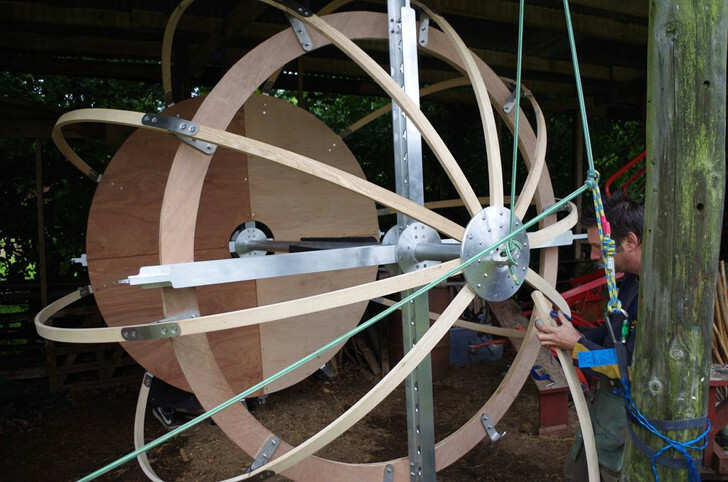 "Its dirigible structure blends two very different but similar engineering materials - aluminum and wood; with inspiration and design queues taken heavily from early zeppelin engineering and early lightweight aircraft design." 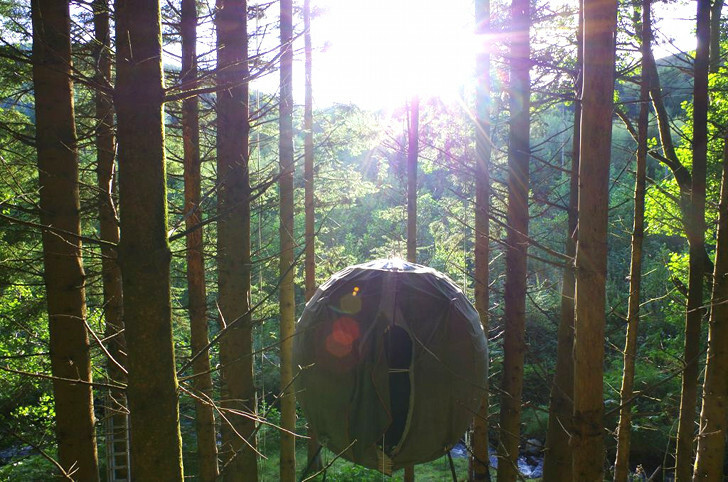 Luminair's Tree Tents are lightweight cocoons crafted from hybrid aluminum and steam-bent green ash for those who want to camp high up in the forest with little impact on the environment. 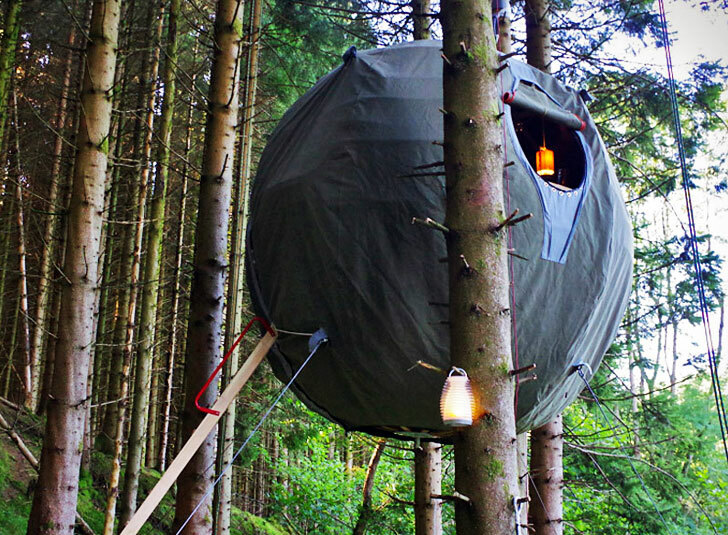 Each tent is three meters in diameter—large enough for two adults to sleep comfortably—and is constructed from recycled and natural materials.